One of the most common reasons why Bellevue property owners opt for Beacon Plumbing’s re-piping service is pipe degeneration. Pipes tend to wear out over time, resulting in dark flakes contaminating your water supply, reduced water pressure, strange tasting water, rust – colored water and structural damage from leaks. If your property is in parts of Bellevue where the local water supply has a lot of hard water, this can result in mineral deposits building up to the point where they can result in water flow problems spreading throughout the installed plumbing system. Homes built over 25 years ago may have a plumbing network made using materials which tend to degenerate much faster than modern pipeline construction materials. Sometimes using cheaper piping materials can result in a reaction with the chlorine in the water, leading to the contamination of the water with the flakes that result from the reaction. Beacon Plumbing brings its inexpensive, efficient and durable repair services to both residential and commercial property owners in Bellevue. Each one of our re-piping experts are able resolve any plumbing system at your property. Our team of residential and commercial re – piping experts will deliver fast same day initial response and get started right away. At Beacon Plumbing, our re-pipe experts are prepared to help you with any of your re – piping requirements. Our experts will diagnose your requirements and will prepare a service plan, which will match your structural as well as financial needs. We take great pride in our work and deliver each service in a truly professional manner. We not only get the job done; we make sure that the job is done right. The satisfaction of our customers with our services is paramount to us. So the next time you face a plumbing issue that is causing you a lot of stress, Stop Freakin’…Call Beacon! Homes owners often need to carry out re-pairs on their homes for a comfortable living. Some of the important decisions are regarding when to carry out a complete re-piping of the drains of the house. If there are constant leaks in your plumbing system then it is probably a good time for you consider getting it done. Water leaks can cause severe damage to the structure of the house and to re-pipe a Tacoma home will be a good way to update the life of the structure. Old pipes cause a majority of the leaks and must be repaired immediately. Not just sewer lines but even gas lines can develop leaks which can prove potentially hazardous to the home. The danger is quite severe for the people living in the homes. Therefore, re-piping is a necessary activity to carry out in your home. If you are constantly suffering from backed up or clogged drains then clearing those lines can help you to remove all the sewage that is blocked up. The sewage in your lines can even end up backing up into your home which will cause unhealthy living conditions. With proper residential or commercial re-pipe Tacoma services you can repair all gas, water and drain lines to and from your homes. Residential re-piping services are designed to include bathroom and kitchen plumbing. Such services take care of all the plumbing requirements of a residential property. A number of commercial structures also require re-pipe Tacoma services. A commercial re-pipe Tacoma specialist can help you in all your plumbing needs. If you are the owner of a commercial building which is having plumbing problems, then you can hire us to take care of all internal and external plumbing needs. We are equipped to handle all sorts of re-piping assignments. We provide you with a complete estimate of the job’s cost, so you can be prepared to bear the costs. Our employees will provide you with the best services that will satisfy you completely. 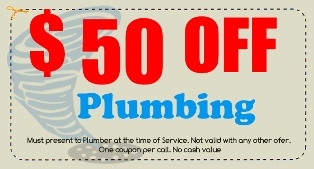 Get in touch with us, if you are looking for plumbing services in the Tacoma area. Stop Freakin’….Call Beacon! At Beacon Plumbing, Seattle homeowners call on us to ensure whenever they need a cost – effective and efficient set of expert re – piping services using the very latest in re – piping methods and technology. With our experts on board, Seattle homeowners can enjoy the mental peace that accompanies having a solid plumbing foundation. At Beacon Plumbing, we use the most cutting edge materials and methods for our customers in Seattle. With Beacon Plumbing’s expert re – piping services, you can take a shower without worrying about water pressure, use multiple restroom fixtures simultaneously, and enjoy safe drinking water while saving a large amount of money on future repairs, structural damage and unnecessary water loss as well. If your property was built quite a few years ago, getting its plumbing system inspected by one of Beacon Plumbing’s re – piping experts is a great idea. Many structures, especially those constructed over 25 years ago made use of galvanized steel pipes in their plumbing system. Corrosion – The constant flow of water and other material in these pipes can cause a chemical reaction, which leads to corrosion and further weakening of the pipe. Leaks – The joints and cracks in a pipe can sometimes deteriorate to the extent where water starts percolating through. Therefore, whether your property is residential or commercial, hiring local re-piping experts will be a far more discreet and cost – effective solution as compared to digging up your entire yard to fix a pipe. If you are looking for the very best of Seattle’s re – piping contractors to take care of your plumbing issues for the last time, Stop Freakin’…Call Beacon! Commercial and residential property owners often face plumbing emergencies. These emergencies are often a great source of disruption in the daily activities of the inhabitants of the property. Other risks involve the accelerated development of potential health and security hazards, which can prove to be exponentially expensive in the end. 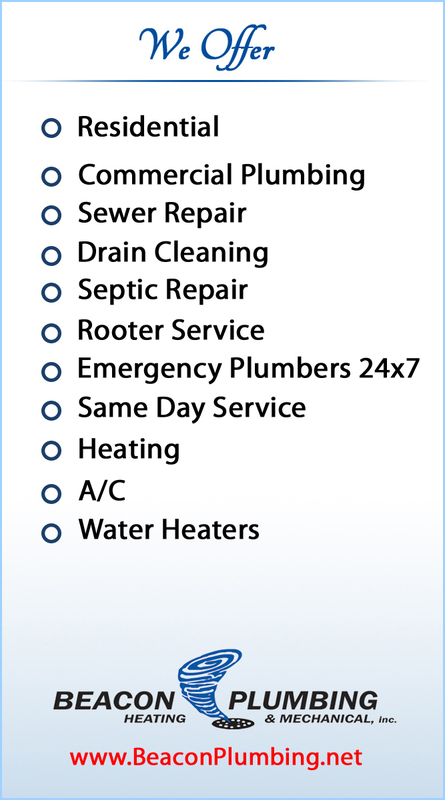 As an Everett property owner, are you currently experiencing any of the drainage related issues listed underneath? If you have answered yes to any of the above questions, it means that the drainage pipe leading out of the affected area has developed a blockage. Sometimes, the main sewer line leading out of the house can also develop blockages, affecting all the plumbing in the entire house. For times like these, you need look no further than Beacon Plumbing. Our team of fully certified, licensed and insured experts brings the very best in Perma Liner Drain Repair services for their clients in Everett. After a detailed inspection to pinpoint all the various problem points, our experienced Perma Liner Drain Repair experts will fix your plumbing issue using only the latest tools and technology. So no matter how big or complex your plumbing problem is, Stop Freakin’…Call Beacon! Constant blockages in your plumbing system disrupting your daily life? Be it due to tree roots breaking into your sewer lines, damage due to the shifting of the ground, heavy duty construction work near the pipelines or the inevitable corrosion of the existing metal pipeline network, a blocked up sewer system often means not only a significant disruption in your daily activities, but also extensive repair operations. Tacoma’s commercial and residential property owners however, can rest assured of the fact that they can now avail the services of the most highly – skilled, fully licensed and experienced roster of perma liner experts in the Pierce County region. Beacon Plumbing brings the very best in plumbing services to the property owners in Tacoma that are looking for an extremely cost – effective solution to their plumbing woes. If you are tired of fixing the same problem again and again, our sewer experts will make sure that once your pipe is repaired, it stays repaired. If the plumbing system in your property malfunctions, it places a lot of pressures on the people who work and / or live in that property since it is a fundamental requirement in any commercial or residential building. A disruption in a plumbing system affects not only productivity, but can also be a potential health hazard and other risks which could end up costing exponentially more. With Beacon Plumbing on the job, Tacoma homeowners can now get the best in plumbing services at the hands of Beacon Plumbing’s roster of expert sewer technicians who have a great deal of experience in serving both residential and commercial property owners. With Beacon Plumbing’s team of fully licensed, certified, bonded and insured plumbing experts, your commercial or residential property will get the most cost – effective and value laden services available in Tacoma. So don’t let your blocked up plumbing system be a cause for stress anymore, Stop Freakin’…Call Beacon! Many property owners in Bellevue face a range of plumbing problems due to amateur plumbing system installation or degradation of said plumbing system due to corrosion, ground shifting, invading tree roots and in come cases, physical trauma as well. Having a disrupted plumbing system puts a large amount of pressure on the property owners because it affects nearly every aspect of the day – to – day life within that property. Another point to be kept in mind is that any problem related to a plumbing system can quickly aggravate and spread into other areas leading to rather expensive repair operations as well. Bellevue homeowners can avail the very best in drain repair services thanks to Beacon Plumbing’s team of sewer lining experts who have been serving other Bellevue customers to glowing reviews. Getting Beacon Plumbing’s Perma Liner Drain Relining means that you get the help of fully licensed, bonded and insured experts with a vast experience in handling all the various aspects of plumbing issues that plague Bellevue households. To experience the very best in Perma Liner Drain Relining and get rid of your plumbing woes, Stop Freakin’…Call Beacon! Often drain lines are destroyed because of tree roots, poor designs, corrosion or shifting grounds. Missing sections of the pipeline can also cause a messy situation for you. This may require you to carry out frequent relining operations. Installing Perma Liner in Seattle is a good way for you to repair your drain lines without headaches. Perma liner is becoming popular because of it various benefits. It can be used to repair any blockages caused by tree roots or any other hindrances. The main problem that Seattle homeowners face when their plumbing lines are blocked or spoiled is that the inability to live comfortably without plumbing services. The longer the time it takes for the problem to be fixed the more trouble is faced by the homeowner. Perma Line Systems provide Seattle homeowners and business owners one of the best ways for drain repairs as it can be done quite quickly and with minimal fuss. With a staff of certified, bonded and licensed individuals who are experienced in handling Perma Liner Trenchless Technology in Seattle, we are best suited for taking care of any plumbing or sewer problems you may have. Perma Liner is used in drains as it allows a hassle free system of repairing any leakages and blockages. Consisting of special epoxy resins, this material can easily bind itself to the insides of the pipe, automatically repairing any leakages. Perma Liner is available for residential and commercial sewer drains and have made repairing them an easy task. With the use of Perma Liner, repairing drains has never been easier and this is a permanent solution to the problem. Now you do not need to dig out drain lines and create a mess in your garden but with a binding solution, your drains will be fixed, no matter how many bends they have. An emergency can strike anytime. And nothing sends property owners’ stress levels into overdrive like a plumbing emergency. With modern property design in Maple Valley involving architecture striving to make plumbing systems as invisible as possible often any problem that occurs may take weeks before it is even noticed. This time frame allows the problem to worsen significantly and affect other areas of the infrastructure as well by causing structural damage, electrical damage and other hazards before coming into the notice of the business owner. However, we at Beacon Plumbing believe that if an emergency can strike anytime, the solution to that problem should be available anytime too. Our team of 65 highly trained and fully certified, emergency plumbing experts is available at your disposal 24 hours a day and 7 days a week. The core challenge in emergency plumbing situation is often assessing the point of origin of the plumbing issue itself. With modern architecture prioritizing design aesthetics over functionality, many builders are often stuck placing plumbing systems in rather inaccessible areas. Having an accessible plumbing system is essential to competent home and office design. The accessibility of the plumbing system in question displays its importance when a malfunction occurs, often leading to much more serious issues. This means that the problem can originate at one point in the system, spread its effects to other areas of the architecture before finally becoming noticeable at an altogether different point. Whether due to a leaky faucet or rusty pipes or clogged drains, water which is not allowed to pass ends up seeping through the architecture, damaging the walls and flooring it comes into contact with. So as soon as you spot such leaks on your property, call Beacon Plumbing’s emergency plumbing services and we’ll get cracking on it as soon as possible. The sooner you call us, the quicker the problem is solved, proving to be a much more cost – effective proposition for your Maple Valley property by eliminating any future water damage costs. Our experts are well – trained and experienced in handling all sizes and types of plumbing emergencies and are available on – call throughout the day. So if there is a plumbing issue on your property that has become a stress you need addressed, Stop Freakin’…Call Beacon! Has your electric bill been increasing with no apparent change in your electricity consumption pattern? In the fall, winter and even early spring, electricity bills increase due to heating costs but if your bill is higher than the usual then this might be an indicator of something gone wrong. Does your furnace turn into a horror movie experience with random creaks and groans at the oddest times? If so, your furnace may actually be experiencing problems which need to be addressed as soon as possible. Beacon Plumbing’s furnace repair technicians are well trained in repairing all shapes, sizes, makes and models of furnaces at prices that deliver great value for money to our customers in Maple Valley. We have a roster of 65 of the most highly trained and certified furnace repair technicians at your service, ready to handle your furnace repair requests promptly and professionally. Where to Find a Furnace Repair Company in Maple Valley? At Beacon Plumbing, we bring our Maple Valley customers not only the most trained and skilled set of furnace repair services, but also over a decade of experience in handling all types of furnace repair issues. The following checkpoints should help you understand and pinpoint the source of your furnace repair issue as your Beacon Plumbing furnace repair technician fixes it. Power Source – The first step of inspection begins by checking the power source. Circuit breakers as well as fuel tank gauges and fuse-boxes are duly checked in order to see if there is any possible error. Pilot lights – If your furnace system is gas – operated, Beacon Plumbing’s furnace repair technician will check the pilot light to make sure it is in good working condition. Filters – Clogged filters can greatly hamper the furnace’s heating efficiency as well as a rather common furnace repair issue and must be replaced monthly during peak usage seasons. Thermostats – The temperature of a furnace is duly regulated via a thermostat installed in a more accessible area of the house. Beacon Plumbing’s furnace repair experts advise Maple Valley residents to check and replace the thermostat batteries at regular intervals. Blower belt – If your installed furnace comprises a forced air system, a too loose or too tight blower belt can hamper performance and waste electricity. With Beacon Plumbing by your side, your property can avail the benefits of hiring the very best furnace repair company in Maple Valley. Our experts will visit you then fix your furnace problem in no time, so no need to Start Freakin’… Call Beacon! When you are looking for someone to take care of your plumbing and heating requirements, finding a good heating contractor is one of the best things that can happen to you. These contractors are well experienced individuals who have a deep knowledge about all things related to heating. Having such a person installing and repairing your equipment will allow you to have the best services there are. If you are looking for a heating contractor in Seattle you do not need to look any further as our services are designed to fulfill all your heating needs at extremely affordable prices. Our workmen have significant experience and expertise in the field and are known for providing the best services in the Seattle area. If you are looking to hire the best heating contractor in Seattle, then you need to look out for the following features in the contractor. He should be licensed and certified. He should insurance for your equipment and worker’s compensation for his employees. He should have significant experience in the field. He should come with good referrals. He should have a list of satisfied customers. He should have a good amount of deals for you to choose from. He should have a proper contract drawn out for you to keep all the arrangements clear. You should take all these consideration into account because choosing a contractor is not just a one-time deal but it could be a long term relationship as a good contractor can take care of your heating needs. Cold winters are often the most difficult part of the year to bear. However, with a properly functioning heating system you can ensure that your winter passes quite conveniently. Therefore a heating contractor Seattle is quite necessary as he is able to make sure your equipment is in running condition. A faulty heating system can leave you in an uncomfortable situation. Therefore find a qualified contractor who is able to carry out all tasks related to heating and plumbing. With a comfortable heating process you can enjoy your home much more. So, if you are a resident in the vicinity of Seattle then contact us to hire some of the best heating contractors available.